At the NFC Forum, IoT and the innovation it enables using near field communication is an important focus. So much so that this year, in conjunction with our annual NFC Innovation Awards, we also held an event to highlight the progress of IoT in relation to NFC, the VISIONFC Simplifying IoT Summit. The summit took a deep dive into the ways IoT is strengthening brands and delivering remarkable customer experiences with the help of NFC technology. With NFC, the integration of IoT for consumers and retailers is simplified. 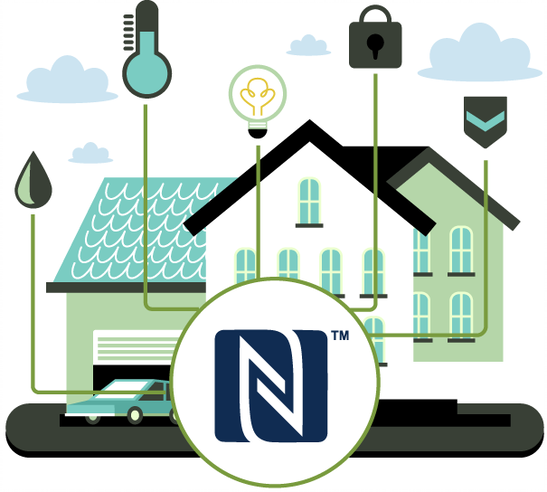 NFC provides an intuitive way for consumers to interact with objects connected to IoT simply by tapping a smartphone to an object, allowing the user to connect on their own terms. With a single tap, users will have access to an expected 36 billion IoT devices by 2020. The highlights of the VISIONFC Simplifying IoT Summit were the presentations that described the ways NFC can help enable IoT. Speakers presented on topics from “The ways NFC can streamline the UX of connected objects” to “Smart packaging: Sensing, measuring, monitoring and informing” and everything in between, which gave our audience an understanding of how NFC combined with IoT benefits consumers and retailers. For all of the speakers and topics, view the VISIONFC Simplifying IoT Summit speaker presentations here. IoT is undoubtedly becoming one of the most important technologies for manufacturers, retailers and consumers alike. With the abilities provided by NFC technology, IoT will be easily accessible for everyone and will redefine how users shop, travel, set up home environments, stay healthy and manage day-to-day life with just one tap. Good to catch up on what customers are doing with NFC - Thanks! Another cool NFC use case that I've seen emerge is using NFC as a back door debug/programming port to an embedded MCU. In some cases, companies are using this in their production line to write certain configuration settings into EEPROM, without any power being connected. Then when the product and system gets connected up to power, the host MCU will read from the EEPROM like a bootloader would with on-chip flash. The main value here is that companies can do some limited programming/configuration on the production line without any power connected to the system! Thanks for sharing Alex. That’s another great NFC use case. I’m forwarding your comment to the NFC Forum IoT Special Interest Group chairs.